Hello Quick Quotes readers! Alicia blogging today with my take on the May Club Q Kits. My method when I get the latest Club Q offering is to pull everything out and mix it up. Lots of goodies are cut to match so they will obviously go together but this allows me to mix up papers and embellishments. 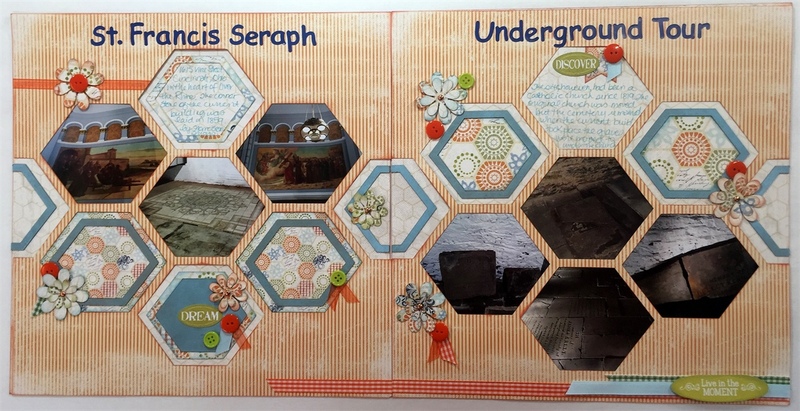 With that said, the hexagon cuts are adorable but obviously made for this layout. 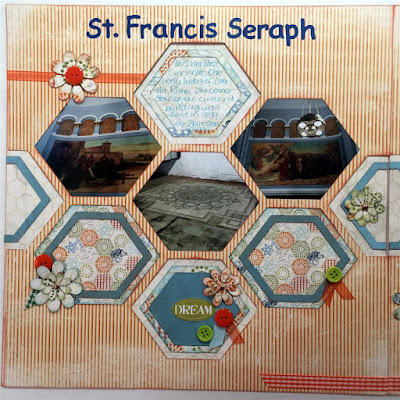 I tried to switch up papers, pictures, journaling and chipboard cuts. 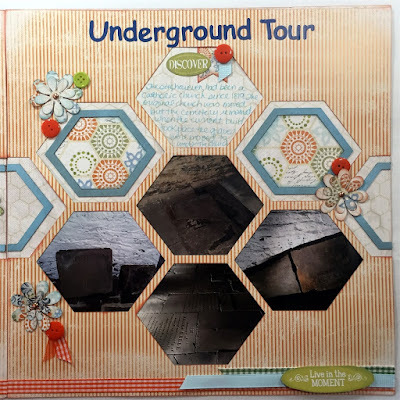 The pictures are of a very recent underground tour I took in April. I thought that with the subject matter and number of pics I took this layout would be perfect! The double page pictures are not conducive to showing the details, so I have a picture of each page separately as well. I used Sky Blue PowderPuff Chalking Ink to ink up the chipboard pieces. I inked several outer cuts and one inside. I really liked my layered ribbon corner with a sentiment popped up in the bottom corner and I extended one ribbon across both pages. Project #2: As soon as I spied this project in the bag, I knew exactly what I wanted to do with it! 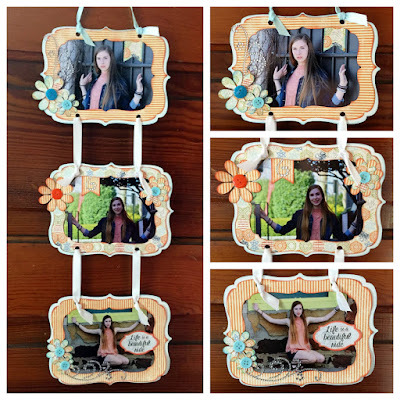 I used my niece's recent senior pics. I love this photo shoot and the pics go great with these papers. I think she will enjoy hanging this piece on the wall. I used ribbons instead of the rings to connect my wall hanging and flipped the paper around to suit my needs. As I also combine the contents of all the kits, the particular elements may or may not have been intended with this project. Since everything is of similar papers it mixes and matches like a charm! Love the underground layout and use of the hexagons. 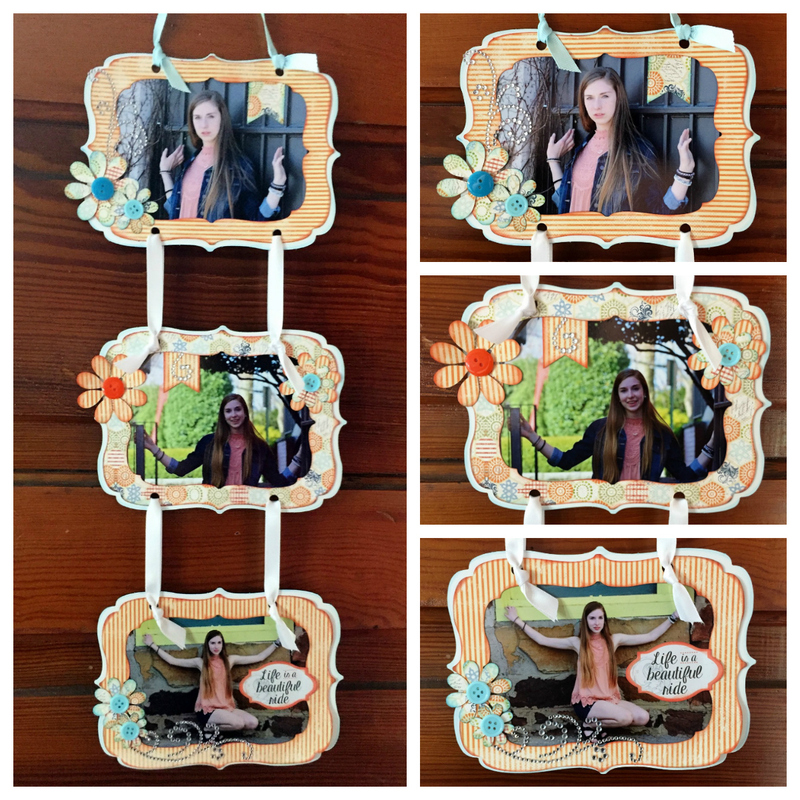 And your niece will surely love the wall hanging of her photo shoot. LOVE that quote (it's also a Gary Allan song - my favorite country artist! ).